The company talking over control of the Caminito del Rey (Hermanos Campano SL) already have some experience in running large sites as they alreay run “El Teatro Romano” In Malaga. The oldest monument in Málaga City and situated at the foot of the famous Alcazaba fortress. Here they provide guided visits, organise archaeoligical investigations and maintain the entire area. With regards to the Caminito del Rey they will control all access, maintainence, guided tours etc They will also pay a hefty sum of over 300,000 euros a year to Malaga town council for the next 4 years (1.6 million Euros) Which is why they won the contract in the first place as they put more money on the table. 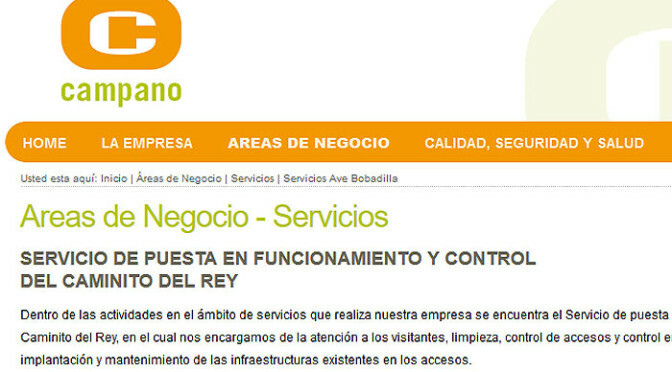 The website for reserving a walk on the Caminito will remain the same (www.caminitodelrey.com) and presumably some techie is working at this moment to get some kind of payment system installed onto the existing website. The price to enter will be around 10 Euros per person which presumably means that the various companies in the area charging for guided tours will either have to stop their activities or raise their prices as over the last year, some have been charging 10 euros for adults and 5 euros for children (10yrs). Hotels that have been getting free access for their guests and benefitting from a huge increase in room sales will also have to charge from April onwards. Hi. Does this mean no one will be able to walk the path until this new company opens up its ticketing process around 4/20? I will be on vacation in the area 4/17-4/18 and was hoping to walk the path one of those 2 days. 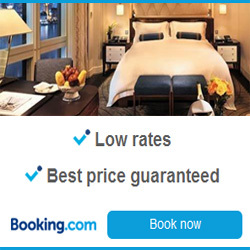 Will this not be possible unless the new company opens up the booking portal early? If so, this is very disappointing as it was one of the activities I was most looking forward to on our upcoming Spain trip. I’m very disappointed, was looking forward to walk the path, I am on vacation in Andalucia during 4/17-4/20. I do not understand that this new company can afford to keep the business closed almost 3 weeks. Are there any alternative ways to sell tickets during the transition period….just wondering. Talk to local bars and restaurants in the area – they will likely either have some form of ticket (as has been the case so far) or another way of getting in. Hi Paul, no, you are incorrect in this thought. Yes, this was the case over the last year but the Caminito will remain closed untill the new company signs the contract to take over running of ther Caminito del Rey /which won’t happen untill next week). This is reflected by various businesses in the area cancelling events and entries to the walkway and offering refunds to people that have paid in advance for a guided tour. Hi! Is there any news? My 50th birthday on 22nd April and I want to do this!! As I understand the new website for booking tickets will be opened tomorrow on the 18th of May. We are 4 persons who wish to walk on this path. We will be in Marbella for two weeks 16-30th of May. All you need for booking tickets is your name, passportnumber, date and time. Is this correct? Then you must be lucky if you succeed to et tickets after reading all comments on different websites. Hi Per, we’ll have to wait and see how the booking website works when it reopens. I presume that the tech guys are working on it as I write this as the Spanish area is down for maintenence right now. Hi Clive and tanks for you answer! Does it mean that you must start from Ardales. now I’ve paid 11,55€ per person and got 4 tickets on the 18 of May. The tickets incl. bustransfer also. Thanks for assistance and help!